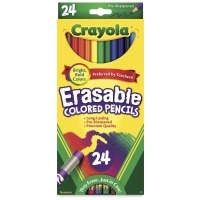 Crayola Erasables let you change and re-change drawings or correct "mistakes." 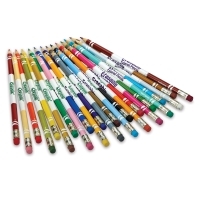 Now kids can complete picture-perfect homework assignments and reports in color-without having to start over! Crayola colored pre-sharpened pencils have built-in erasers.